As business owners, we’re never truly done learning. Whether it’s a new skill to add to our tool belt or way of looking at or operating our business, change is the only constant we can count on. When it comes to business growth and expansion, one of the most significant pieces we have to continually fine-tune and actively work on is our mindset. 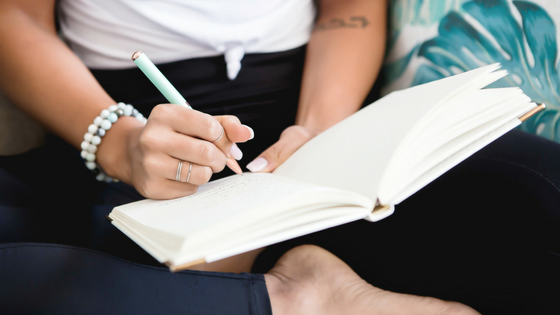 The concept of mindset and how it affects our roles as business owners is something I first began exploring in my early twenties, and during that period I went to two Tony Robbins events, which forever changed the course of my life and business. This month I had the opportunity to see Tony Robbins again, and of course, I went because as I mentioned earlier, the mindset work is never done, and I walked away brimming with insights and takeaways old and new that I knew I had to share with you. These are four of the biggest mindset insights that have shaped and are shaping my current trajectory in business, and I think you’ll find them powerful as well. Enjoy! We’ve all had those days where we feel “off,” or a single event or trigger can derail our whole day. While we may not be in total control of our surroundings, other people’s emotions, or our immediate external circumstances, we do have ultimate control over our perspective and our emotions. Now, it may not feel this way when you allow yourself to get carried away with your thoughts or spiral into behavior that doesn’t support your ultimate goals or vision. However, that’s because you haven’t taken the step of being aware of your cues or realigning your mind and body to a state where you can operate in a space that’s conducive to your success. Even a practice as simple as closing your eyes, and giving yourself a pep talk while you envision the atmosphere and attitude you do wish to have right at this moment can help you gain control immediately. Everyone knows a couple of people who seemingly don’t think of the consequences of their actions. Now I say a couple of people because these two people are different: one is someone who doesn’t think of consequences and gets burned for it (because the decisions they were contemplating weren’t the most positive in the first place) and those people who see a variety of opportunities, quickly identify the one that intuitively feels right, and they go for it. And miraculously, their decision always turns out to be a good one. Do you know why that is? Because they can fully commit to the outcome of their decision. There is no “Plan B,” they see the choice that produces the result they desire, and that’s what they choose. Tony Robbins frames it as “arrive at your island and set fire to your boat.” In other words, find your destination and learn how to survive there. Your boat won’t be there to carry you away when the going gets tough; you’re now fully committed. In fact, I experienced this when starting the Salon Owners Collective. I began putting the plans in motion while at my last job at salon software company, Timely, but I knew I had to commit to this if I wanted it to work. As you shift your mindset using this practice, I think you’ll find there’s real power in making a decision, choosing to look forward and not back, and knowing success is imminent because when you’re driving forward, there’s no other way. Now that you’ve made your decision and have fully committed to the outcome, here comes the part of doing the work. I know some people like to think of mindset as “woo woo” or not rooted in reality, but therein lies the difference, someone who has done the right mindset work will be invigorated to take the action necessary to reach their vision of success. However, as invigorated as we may be, sometimes our brain can be tricky (see a pattern here on why mindset work is so important?) and cause us to procrastinate as we weigh all the facets of our decision such as where to focus first, or how to act, etc. Author Mel Robbins (no relation to Tony) calls this the “5-Second Rule,” which she has written a best-selling book detailing the practice and science behind it, but the gist is: give yourself 5 seconds between when you decide to do something and doing it and count it out. Once you’ve reached “5,” it’s time to move. This practice overcomes our brain’s natural response to keep us “safe” by thinking through every micro-decision that stems from our initial decision, which is the primary reason for stalling and eventually, getting stuck. As entrepreneurs, we often share the quality of being driven and continually keeping our eyes ahead on the forever-moving horizon that we fail to stop and soak in the success milestones along the way. 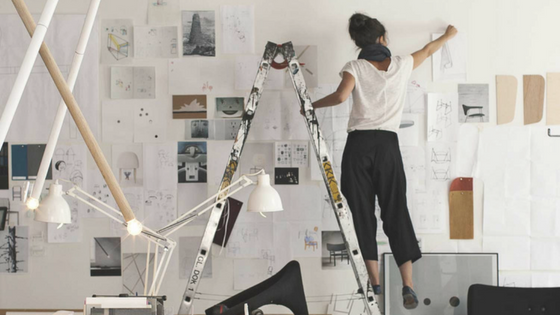 Not only should we be aware of and acknowledge our successes, but we should also share them. By sharing our successes, we’re inviting ourselves, our teams, clients, and other people who have made it possible to reach these milestones into being present with us and in our success, which only further fuels us to continue growing, developing, and moving in the direction of our ultimate vision for success. 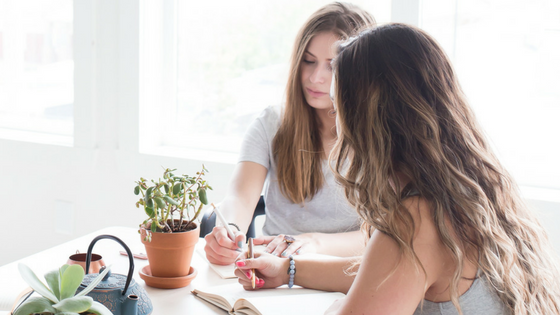 As you can see, these are mindset practices you can leverage whether you’re a budding stylist or a long-time salon owner because as you grow your salon (and as an owner), you’ll continually learn new things and come up against new decisions and opportunities. 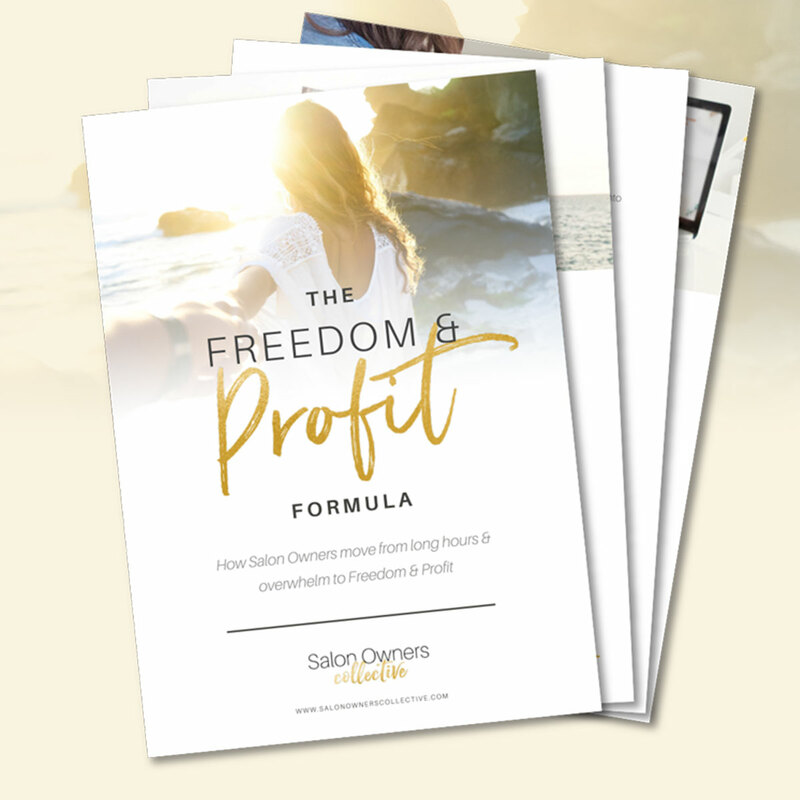 Through my Freedom & Profit program, I’ve helped countless salon owners navigate their journeys through coaching, support, and accountability and I can confidently say that its these types of mindset shifts and reframing practices that make the difference between salon owners that skate by with their business and those that skyrocket. Which type of salon owner are you?